Alf and Norma Wood are regular customers at the Muffin Break Sanctuary Lakes (VIC) store. 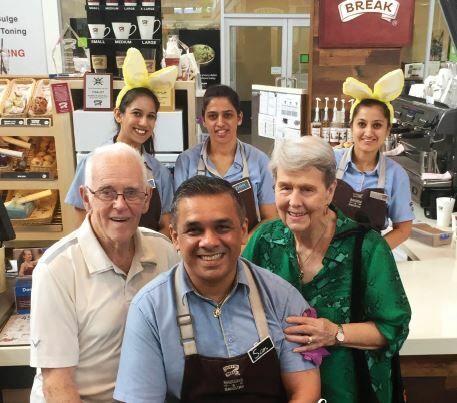 They have been going to Muffin Break since it opened in their local shopping centre to visit Sam Vazirani (cafe owner) and his team. We’ve been to other coffee shops in the area but they simply don’t match up to the quality of products or service that we receive at Sam’s store. It’s certainly the best coffee around and it’s all of these things that keep us coming back. Well Done to Sam and the team at Muffin Break Sanctuary Lakes! Get to know your local Muffin Break and find your closest store.